Wholesale Trader of a wide range of products which include kantha work bed cover, bed cover mirror work, white bed cover and embroidery white bed cover. 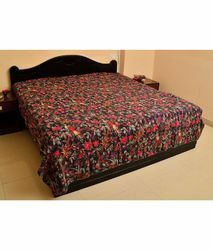 Unlike any other firm we are absolutely focused on what we do due to our professionally inhibited workforce are engaged in offering Kantha Work Bed Cover that is created with the use of industry grade fabric that is well known for its color fastness and long use. We are the leading and prominent Wholesaler, Retailer and Trader of Bed Cover Mirror Work. 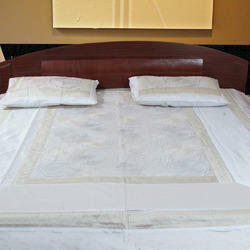 The White Bed Cover made of two different Fabric Polyester & Silk with Embroidery Work with 2 Pillow Covers only. 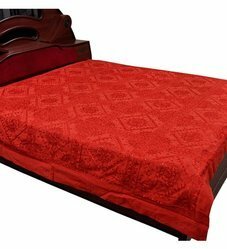 The Embroidery White Bed Cover made of two different Fabric Polyester & Silk with Embroidery Work with 2 Pillow Covers only.